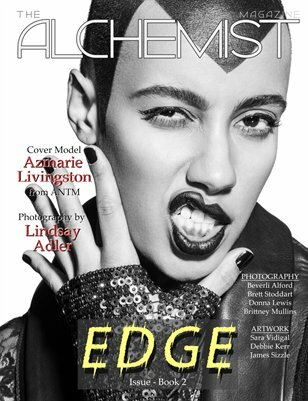 Book 2 of The EDGE Issue. Photography by: Beverli Alford, Lindsay Adler, Brett Stoddart, Donna Lewis, and Brittney Mullins. Artwork by: Sara Vidigal, Debbie Kerr, and James Sizzle.